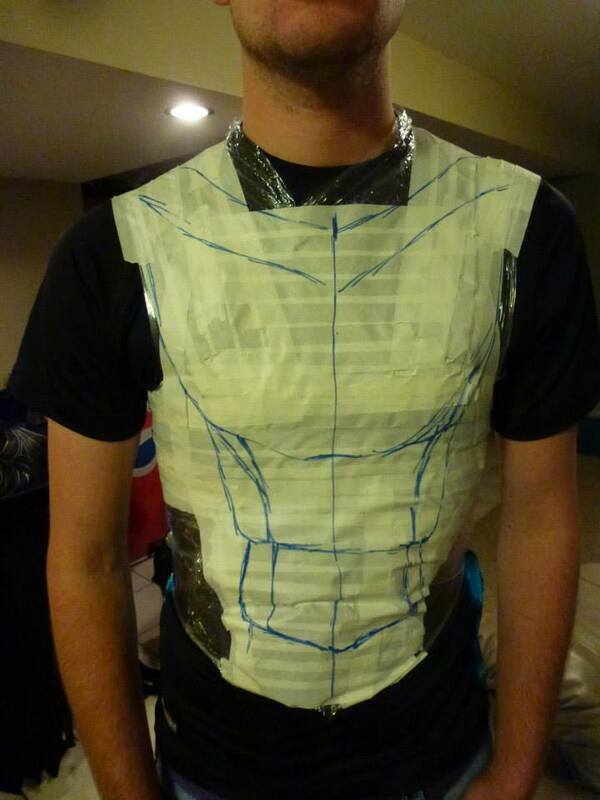 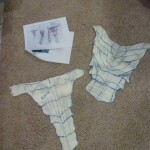 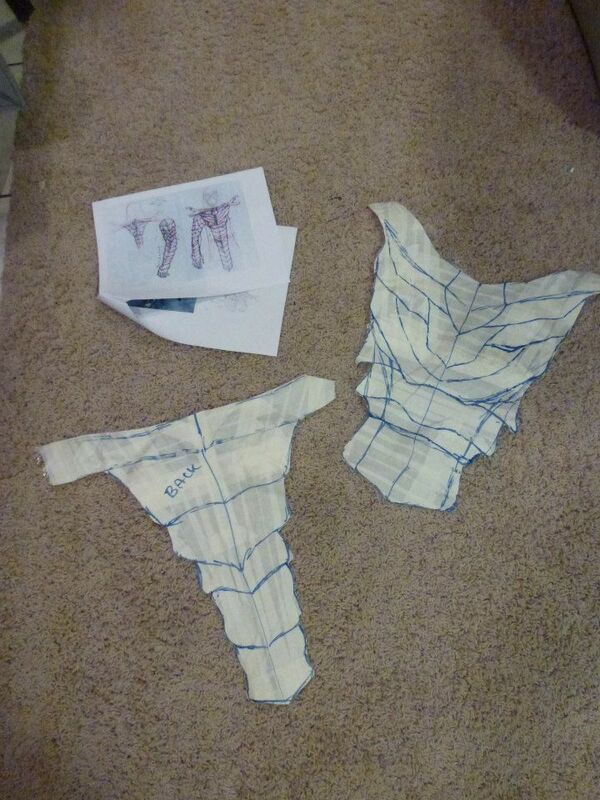 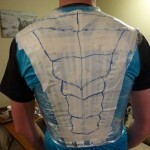 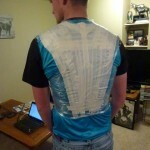 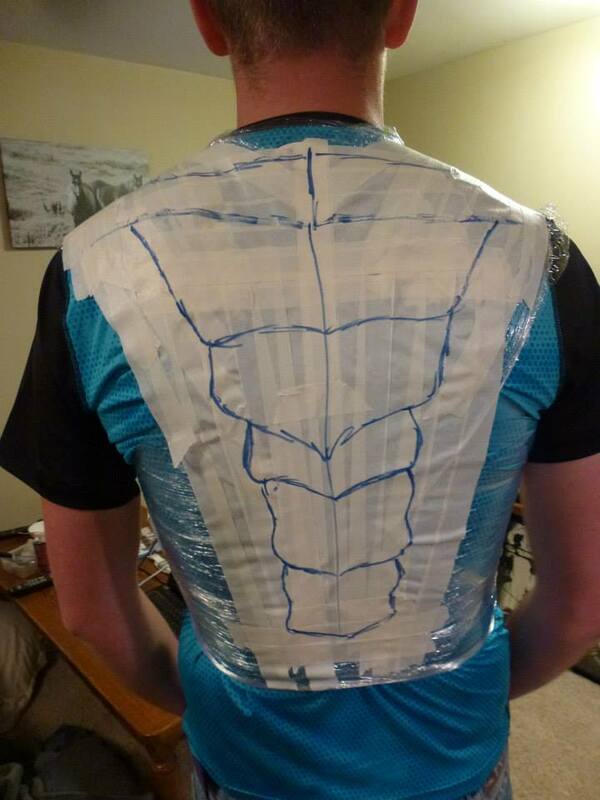 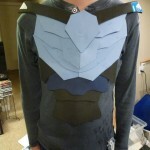 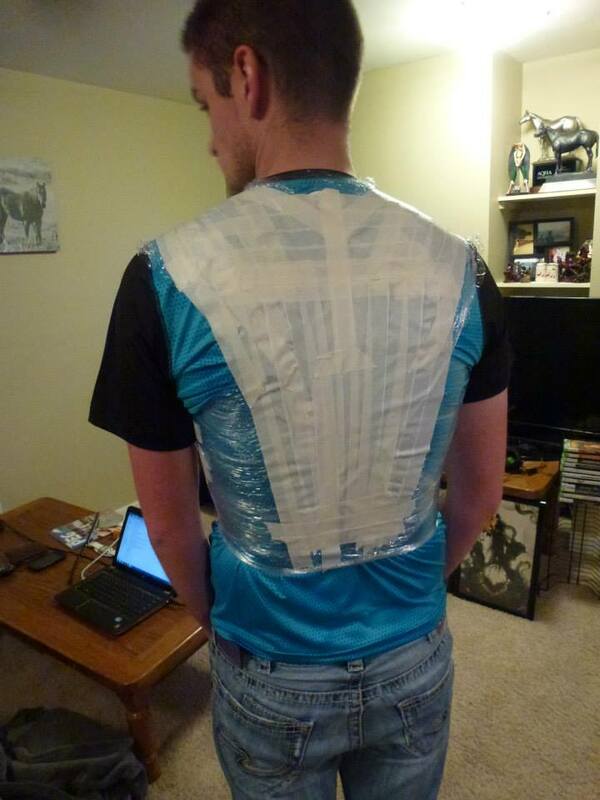 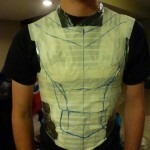 First, the pattern was drafted by covering the cosplayer in plastic wrap and then tape, drawing out where the armor would fall across the back, chest, and then arm. 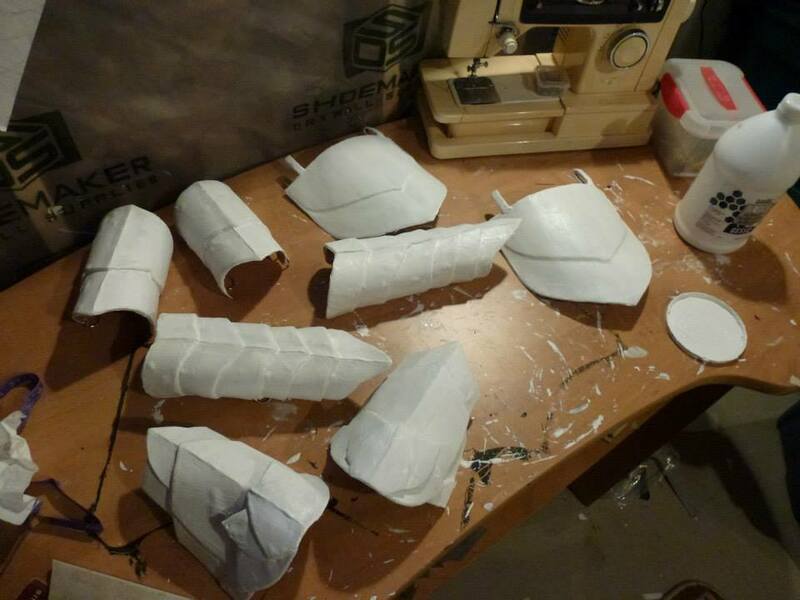 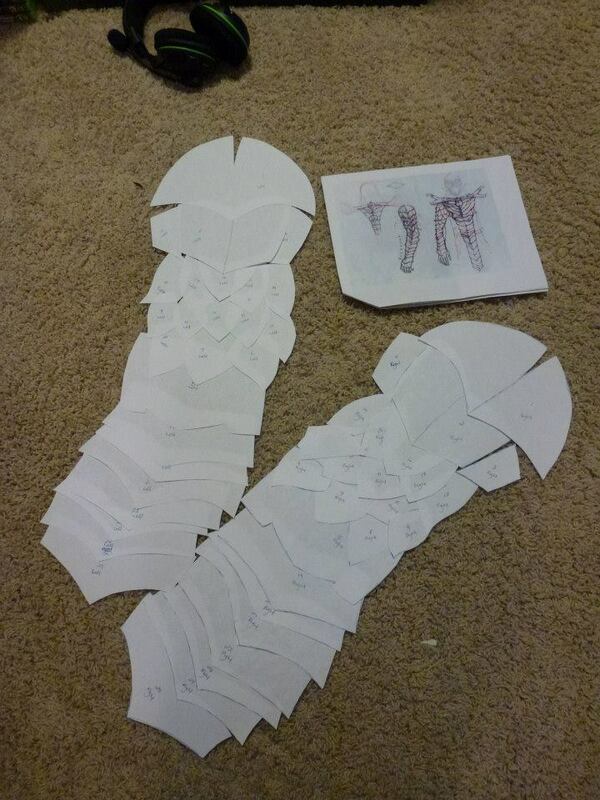 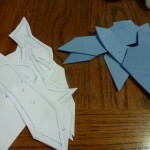 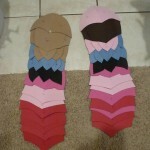 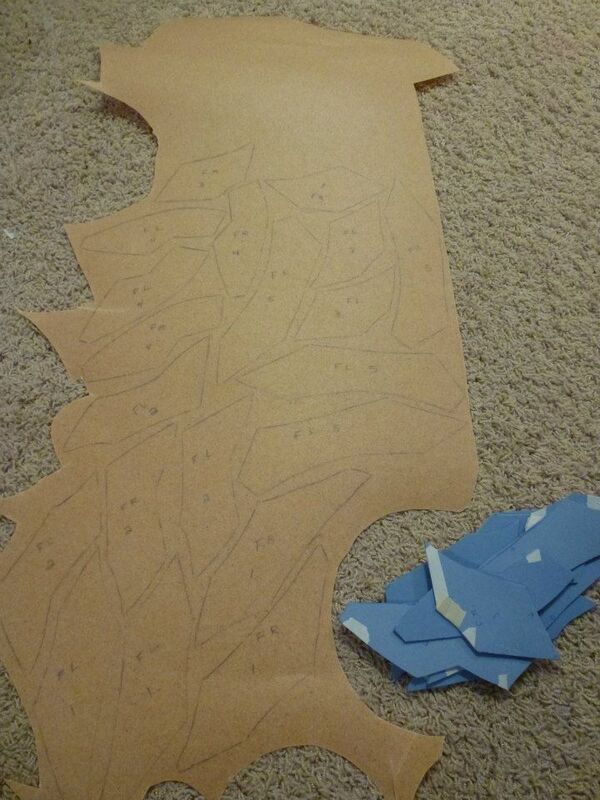 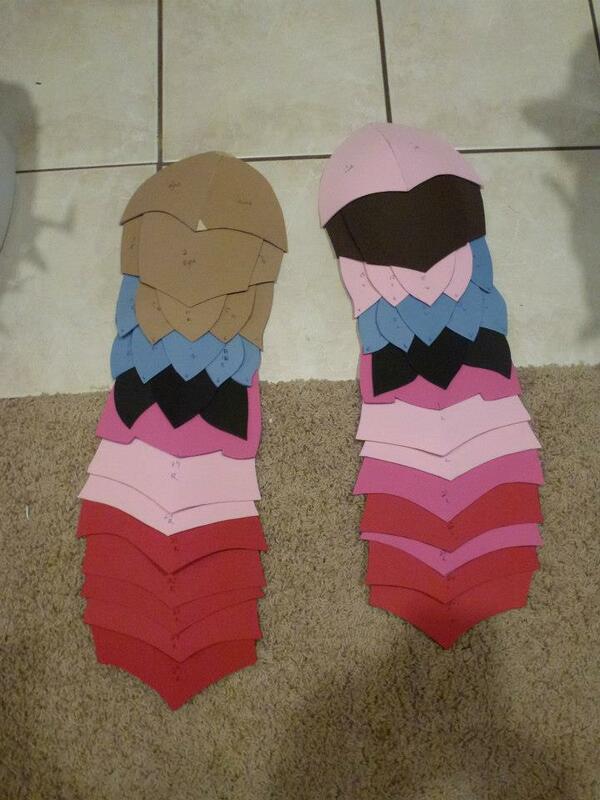 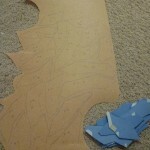 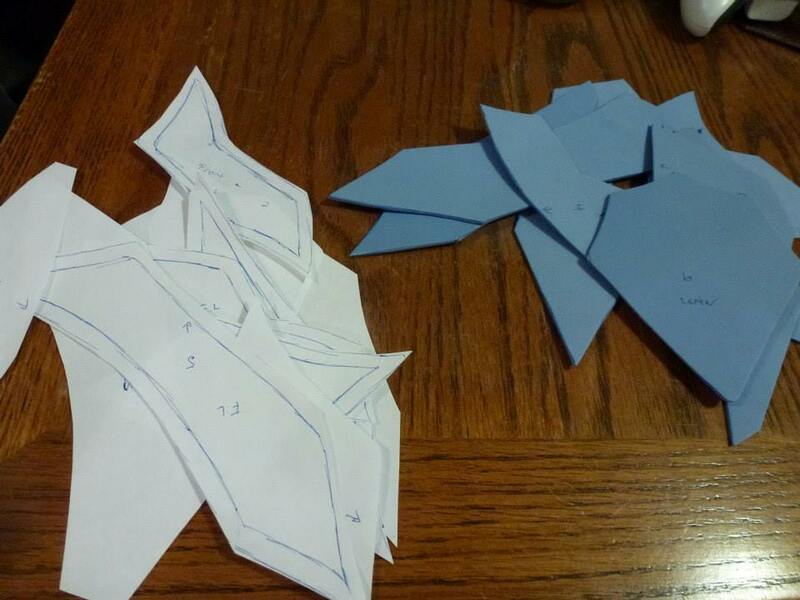 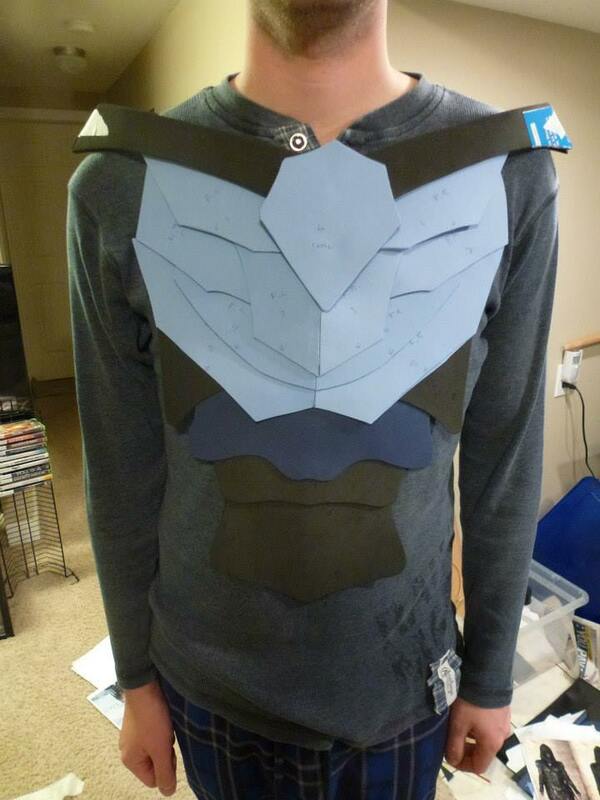 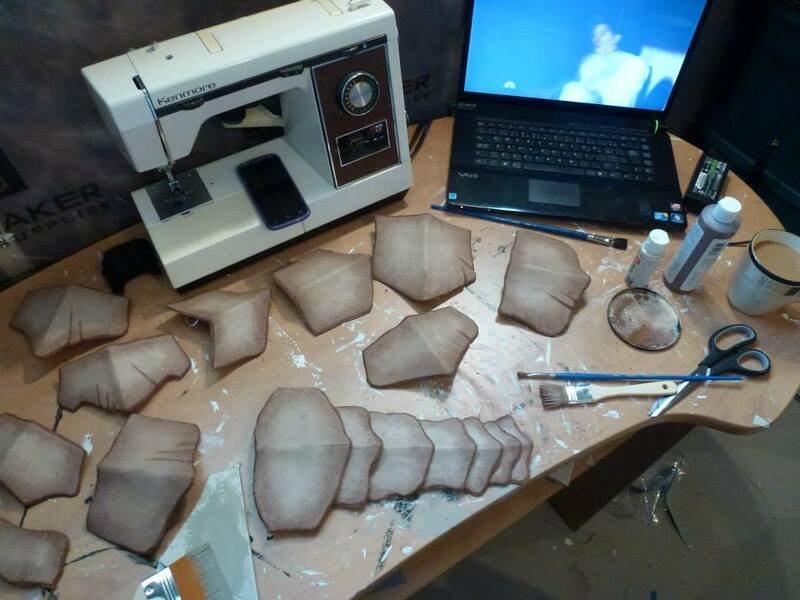 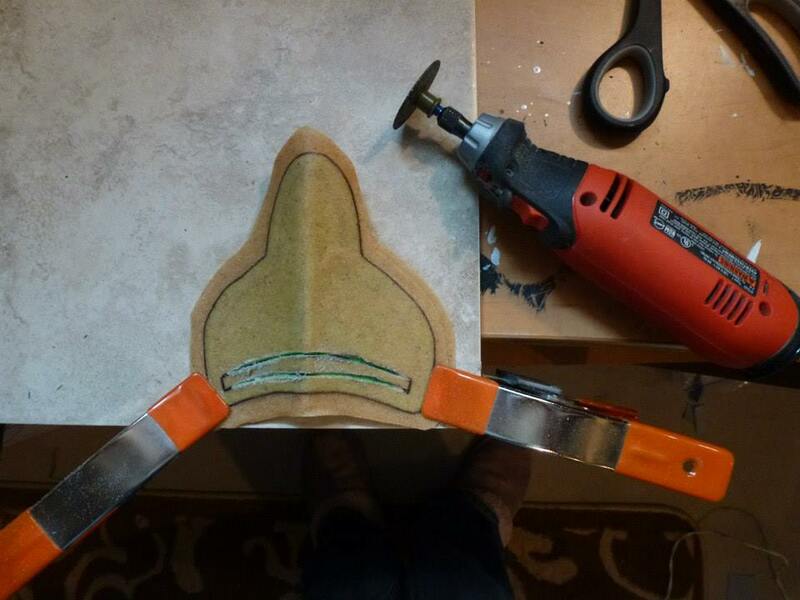 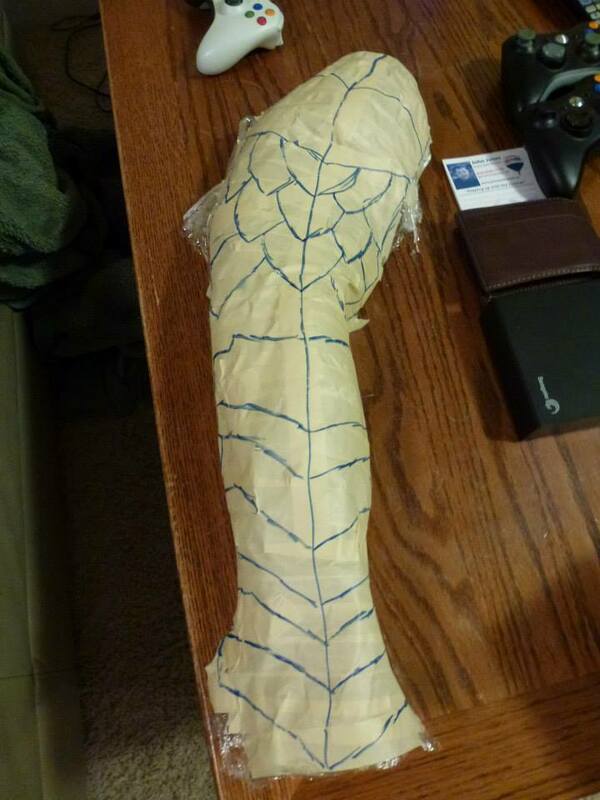 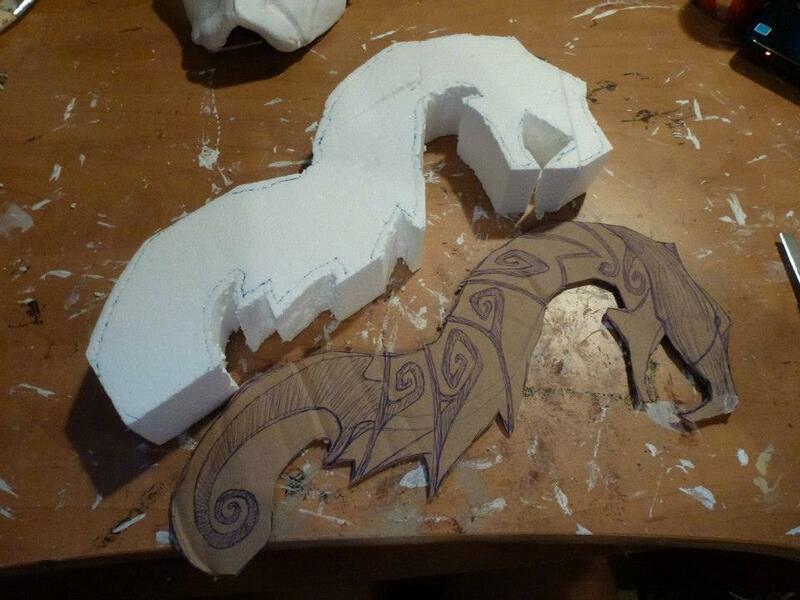 The tape and plastic pattern is then cut out, and transferred onto fun foam and Worbla. 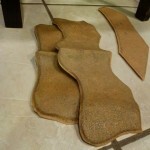 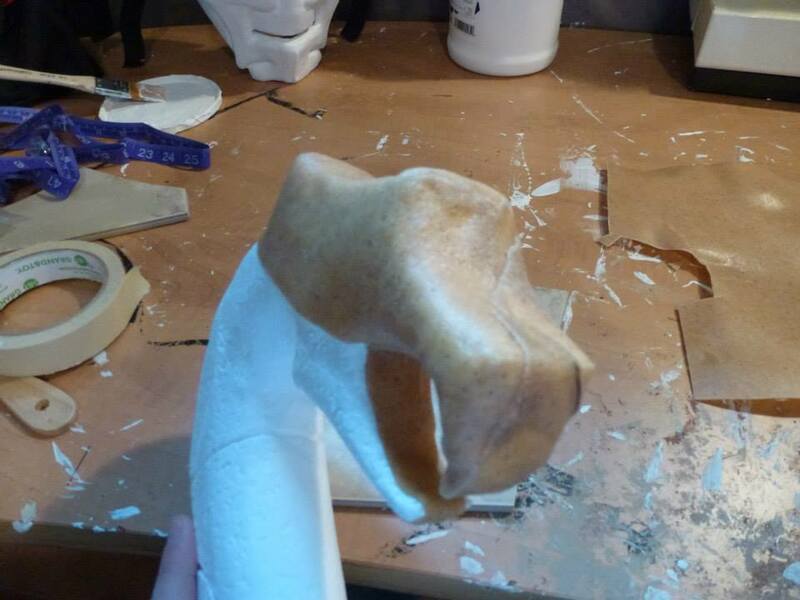 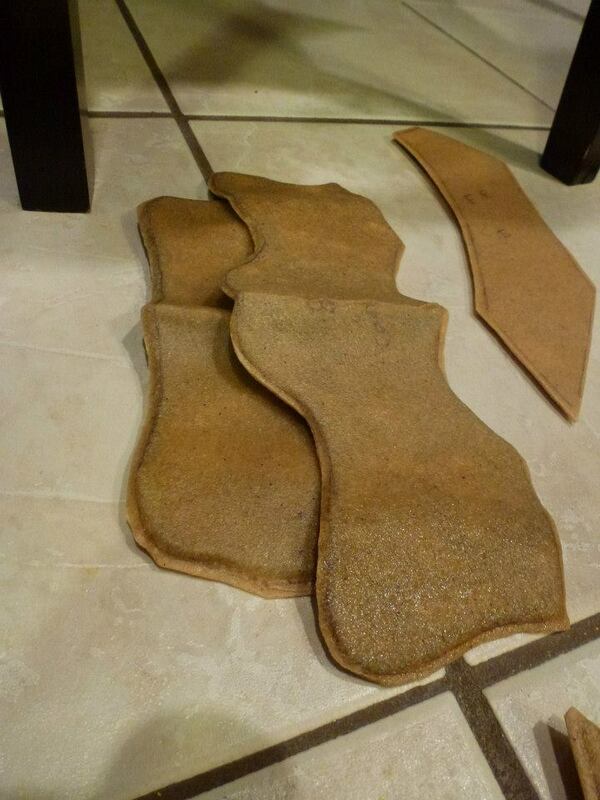 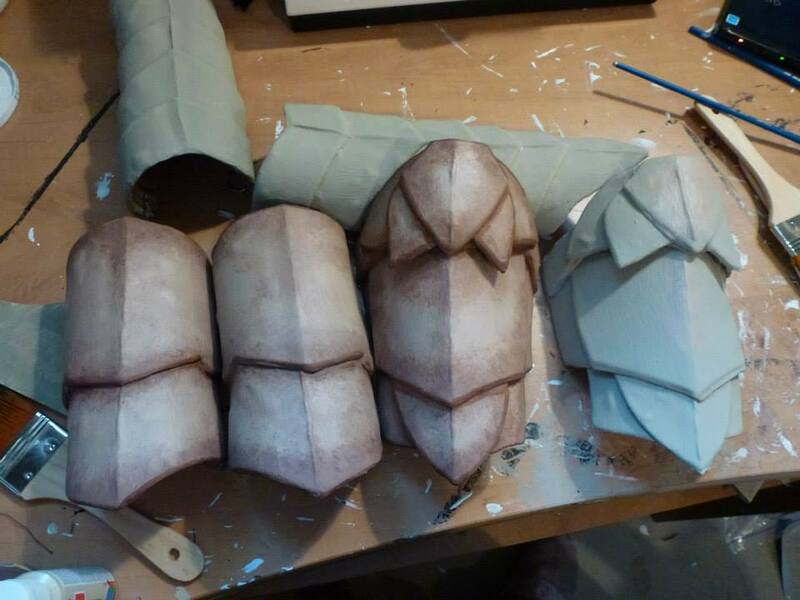 The foam is then sandwiched between the Worbla sheets for stability. 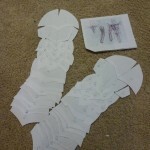 Each piece is layered together following the pattern. 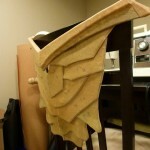 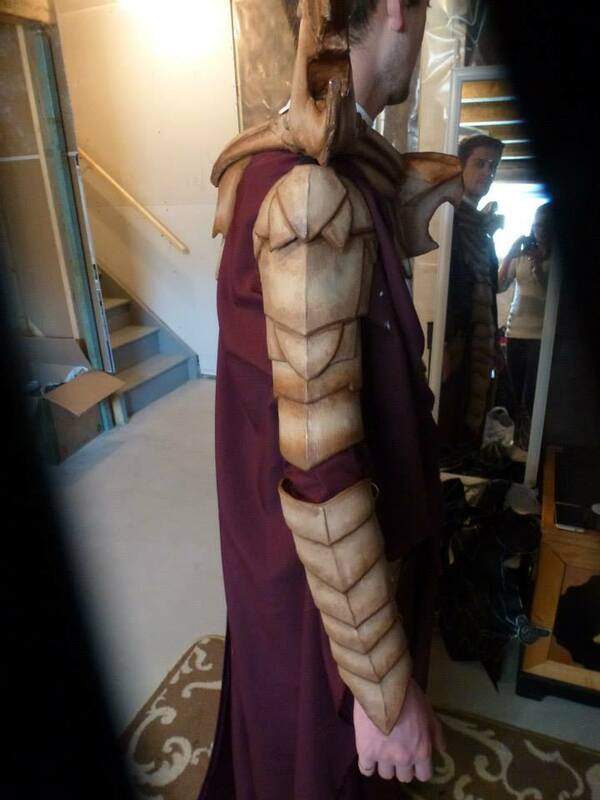 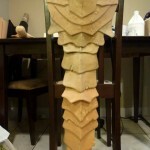 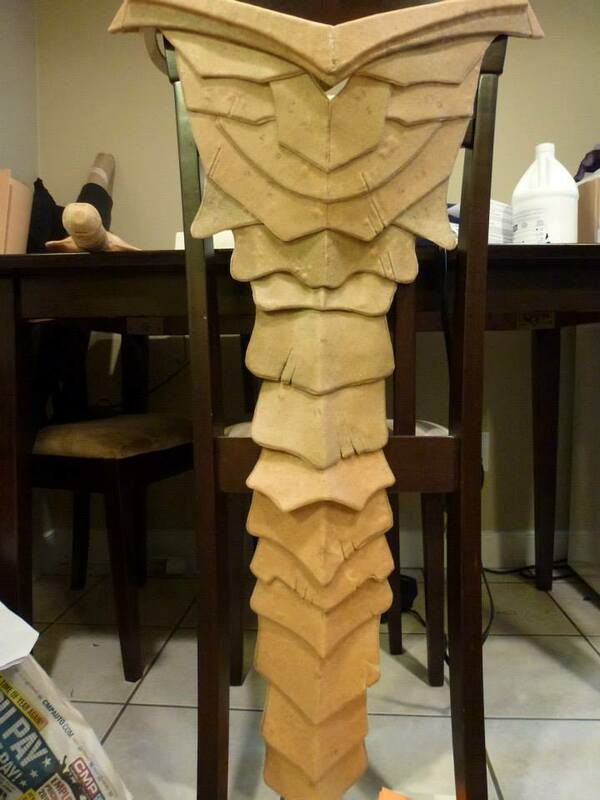 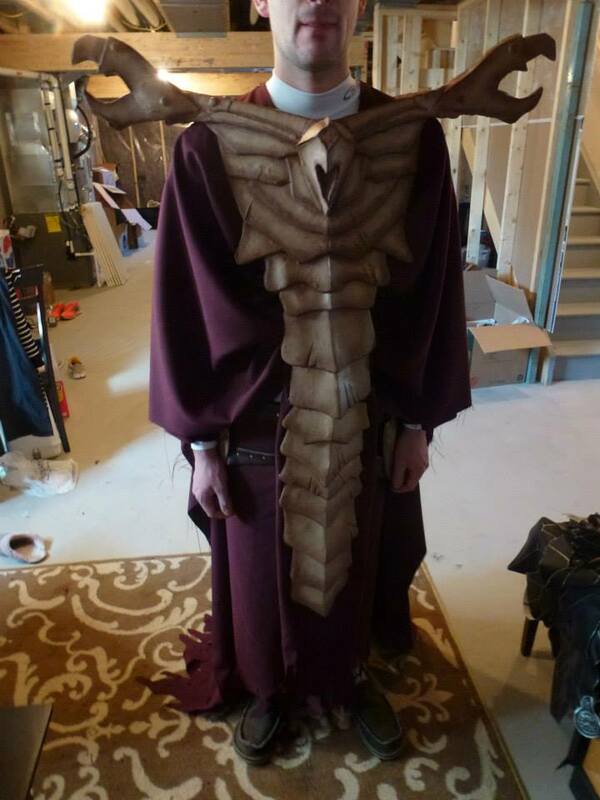 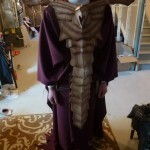 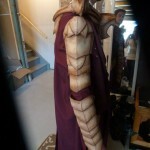 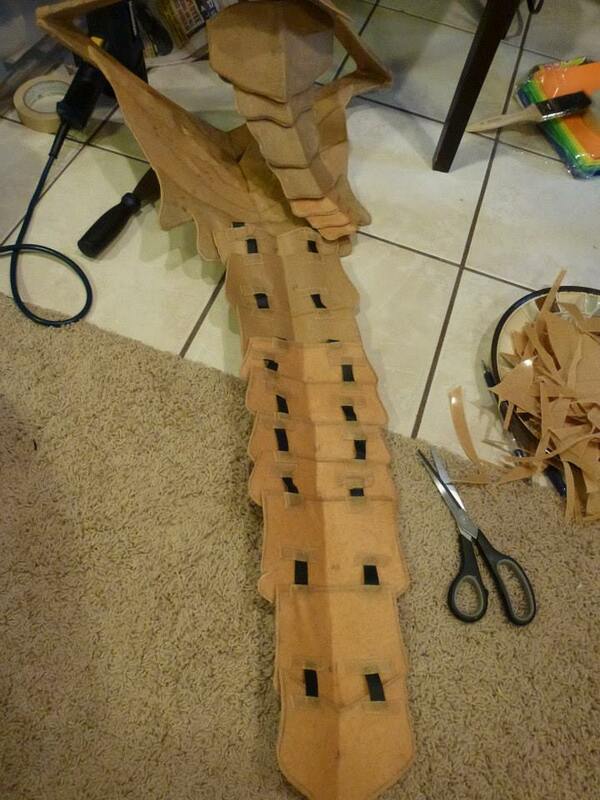 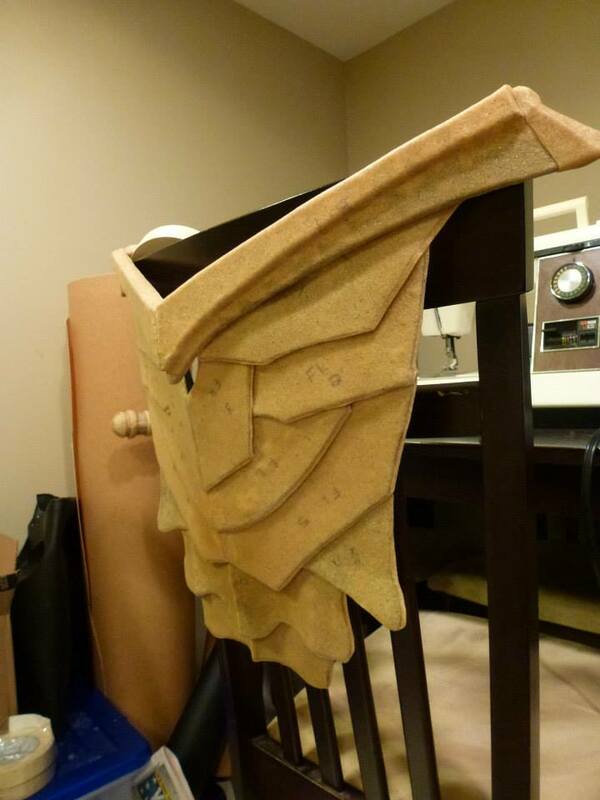 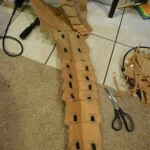 The spine is attached by strips of elastic that are glued into the underside of the panels with more Worbla. 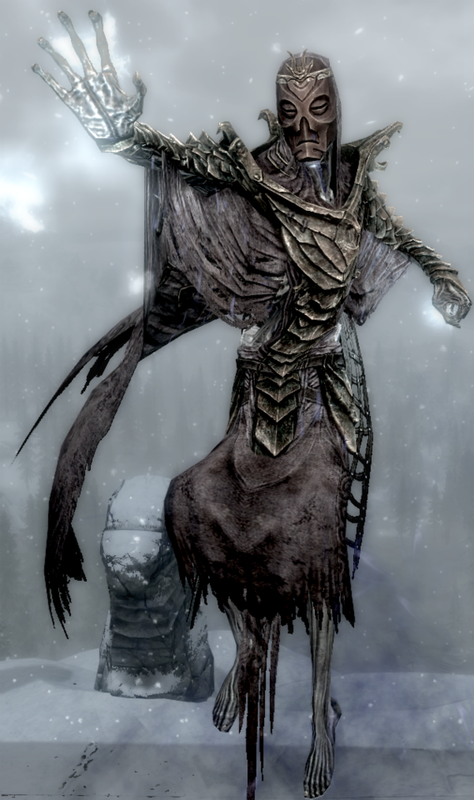 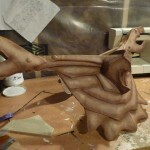 This lets the spine move and sway while still holding the shape. 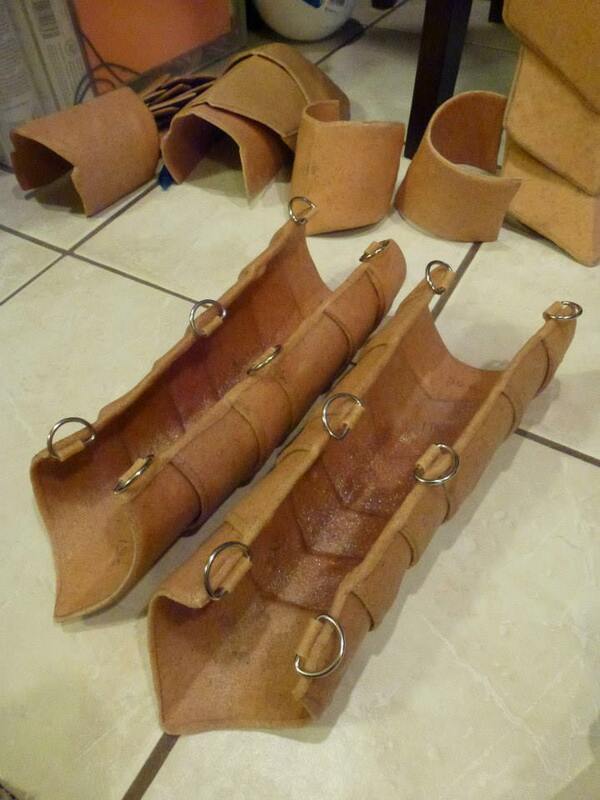 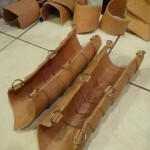 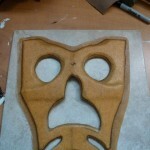 D-rings are added to the bracers for strapping that will keep them closed. 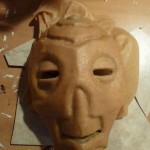 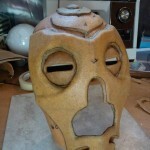 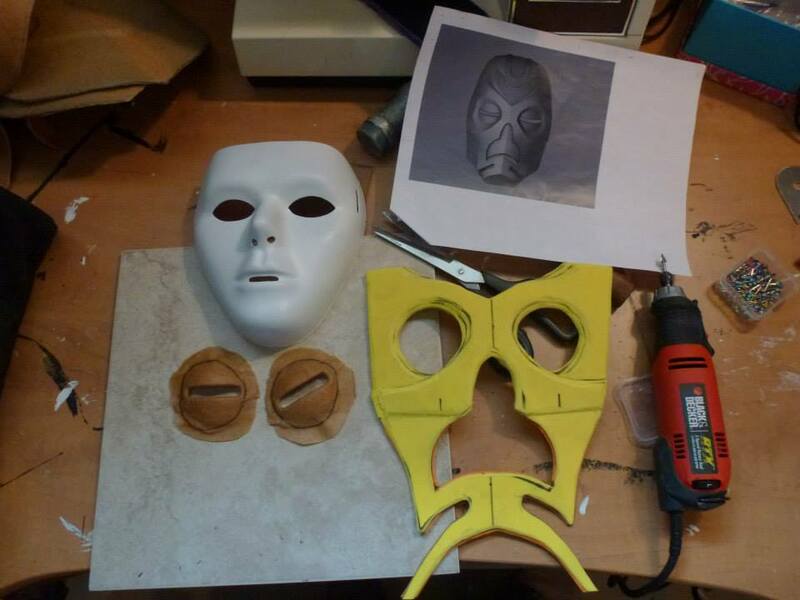 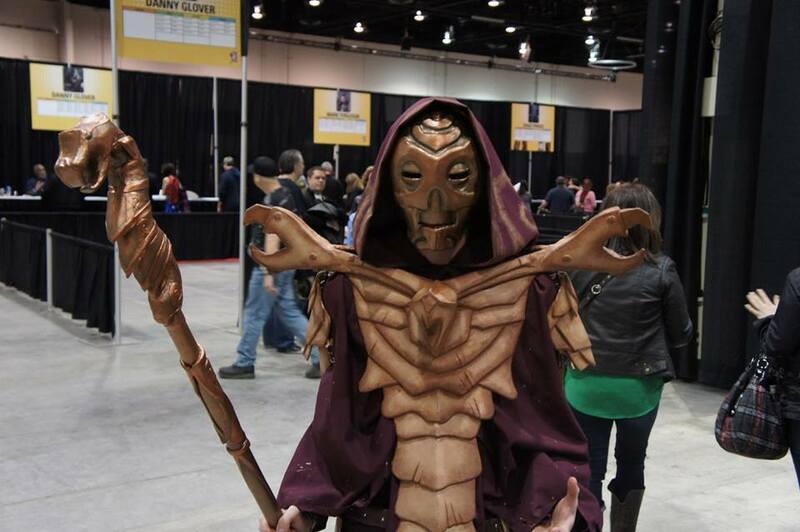 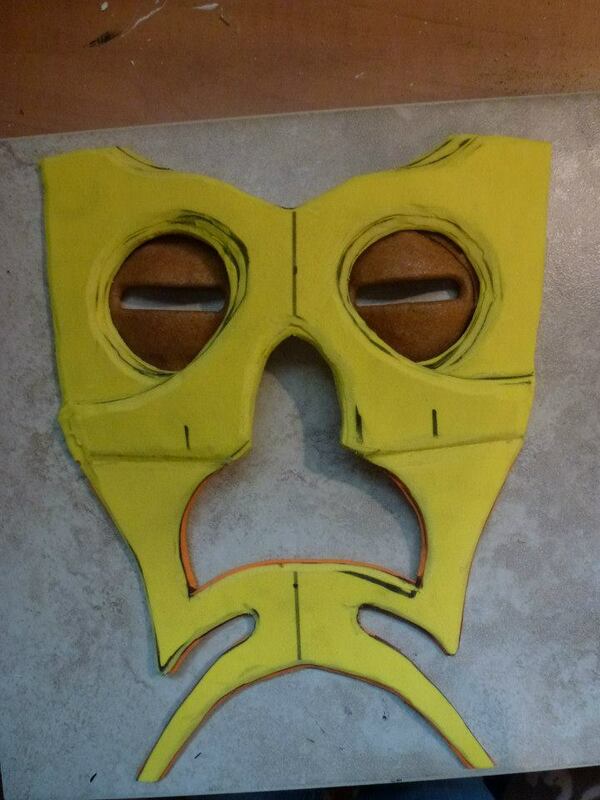 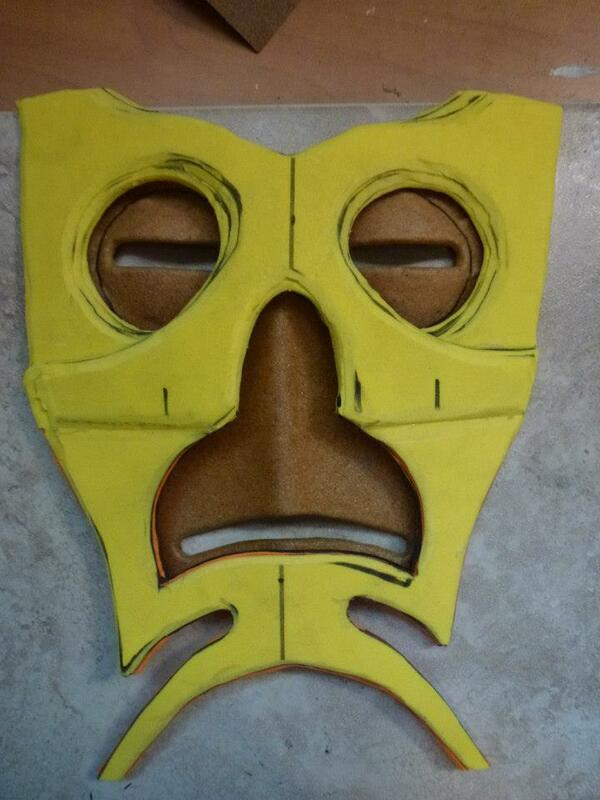 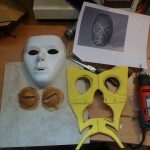 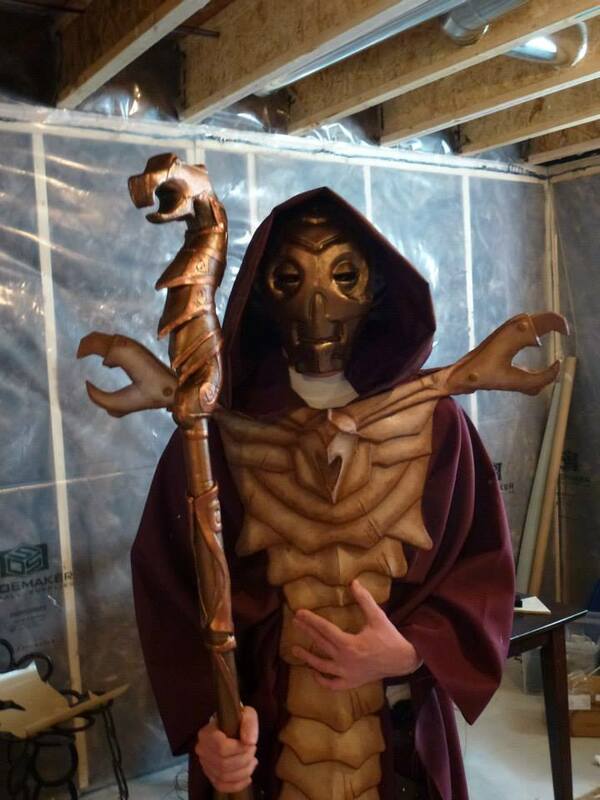 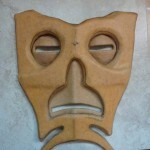 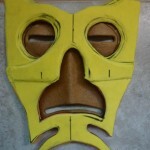 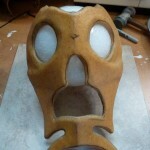 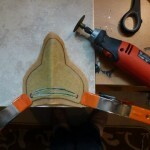 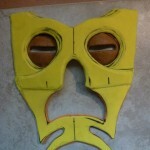 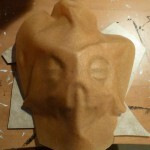 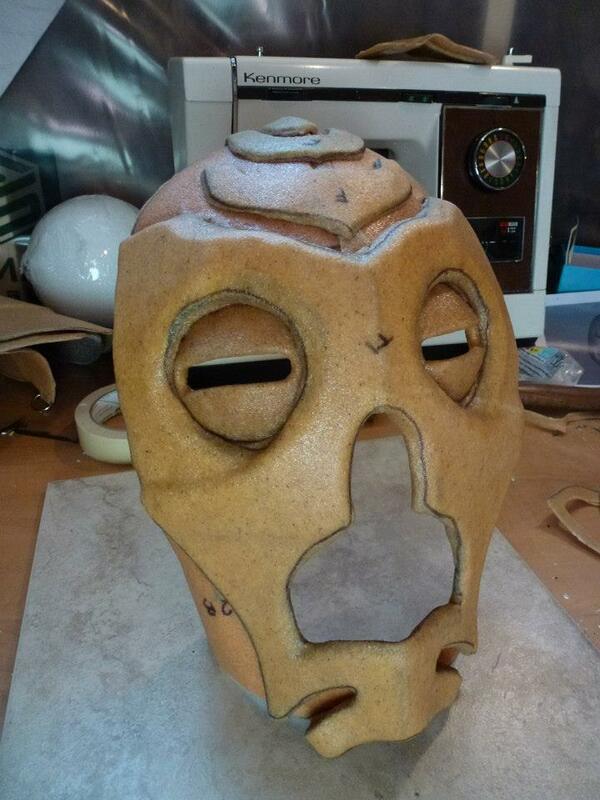 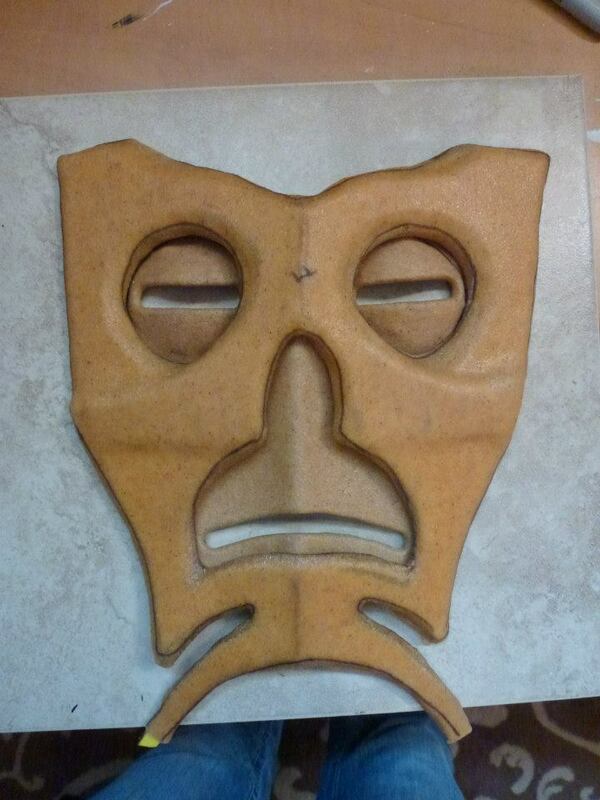 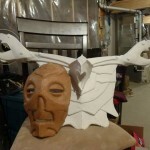 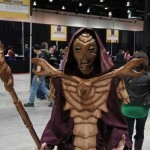 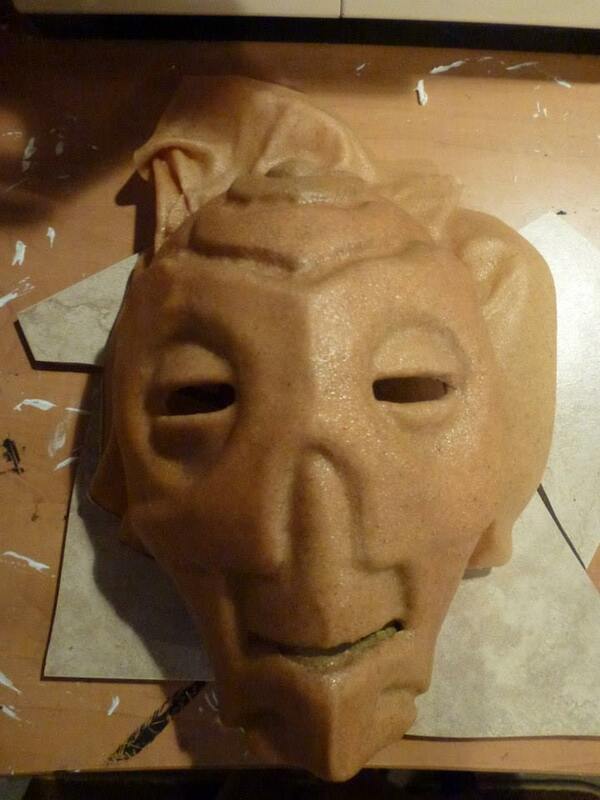 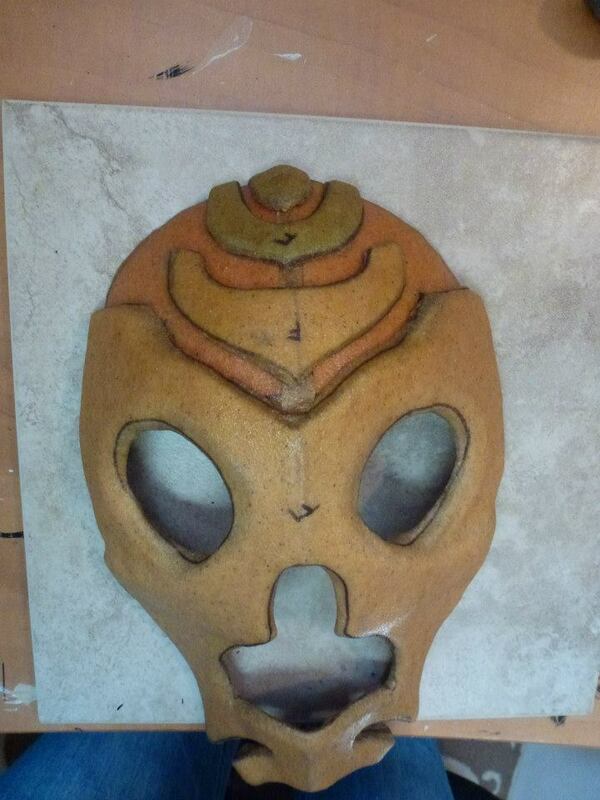 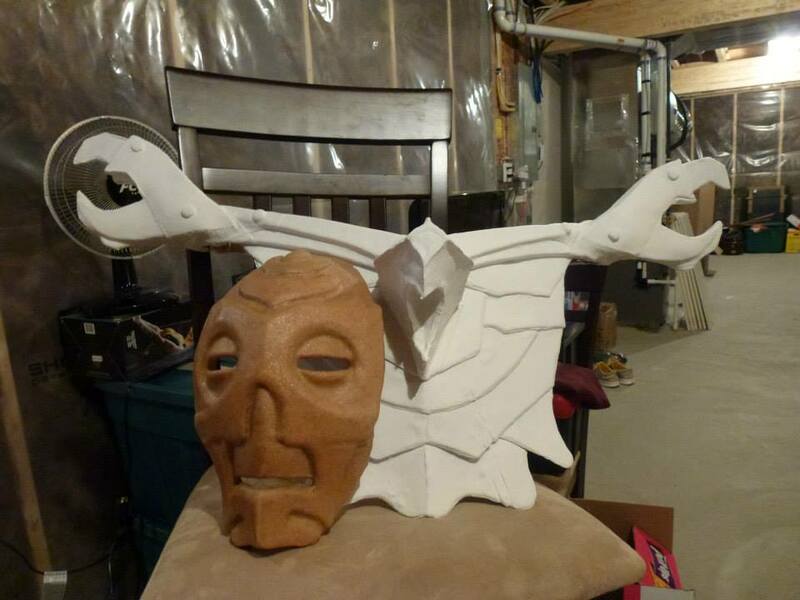 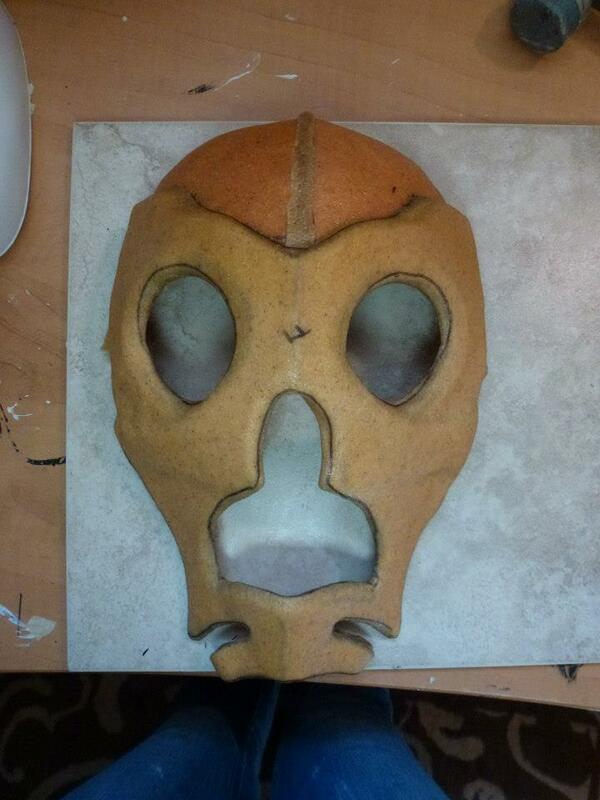 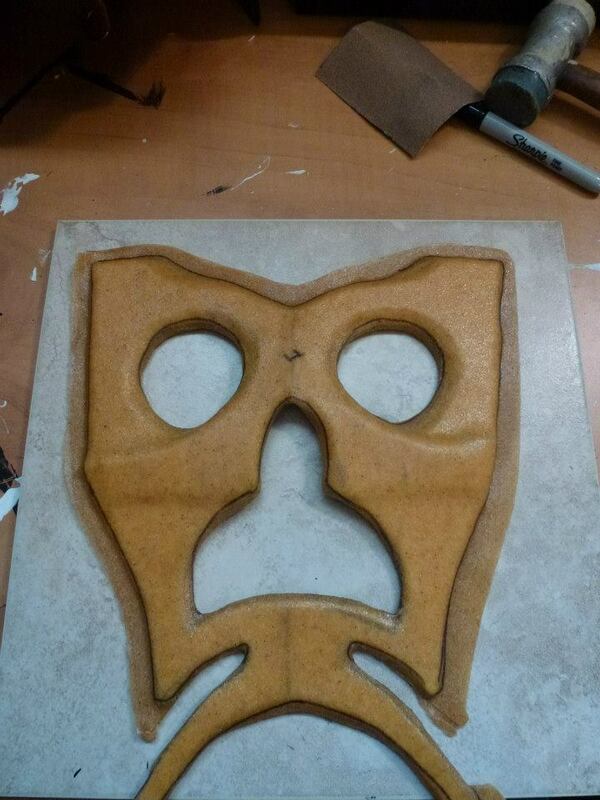 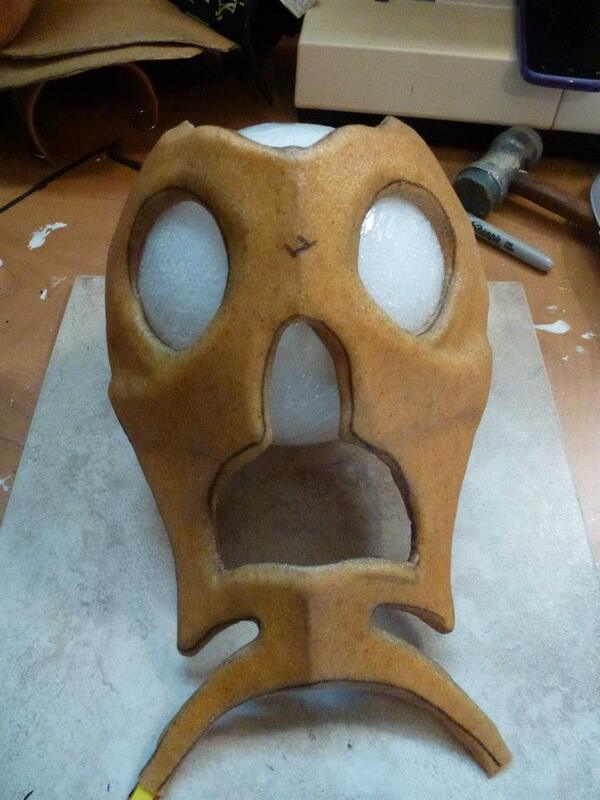 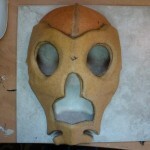 The mask is a great example of layering Worbla. 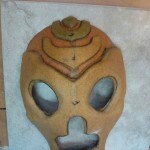 The frame was made separate from the eyes and mouth, then attached. 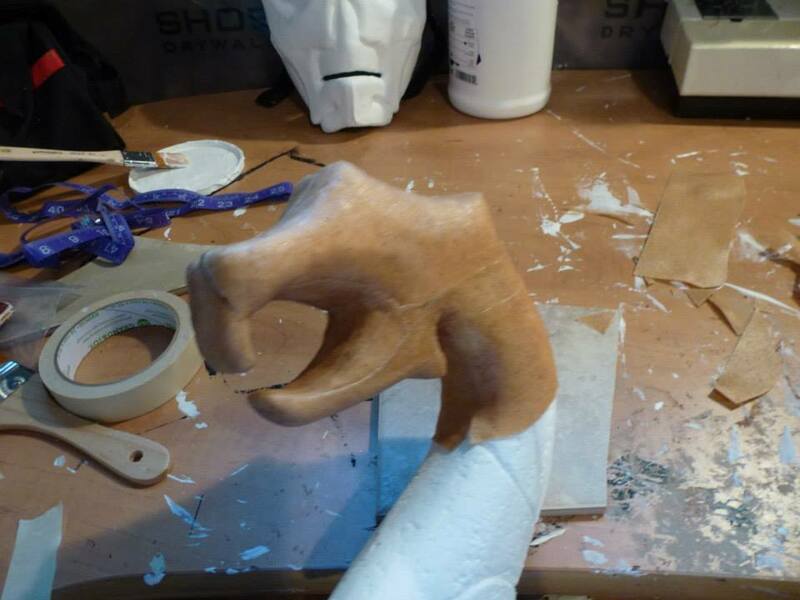 Then the forehead and lower jaw were attached, with layers of Worbla adding more depth and detail. 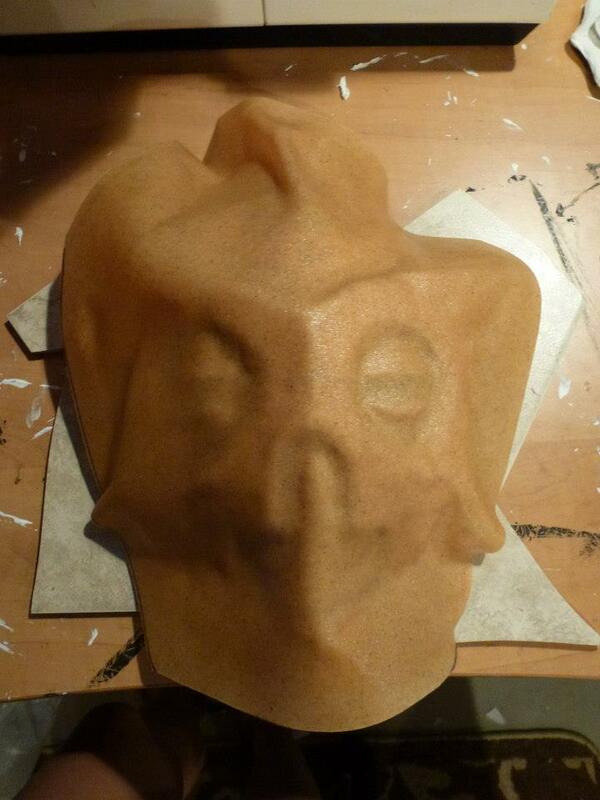 Finally, a large sheet was heated and draped over the entire form to even out the layers but keep the depth, making a seamless but 3-dimensional mask. 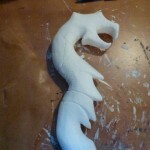 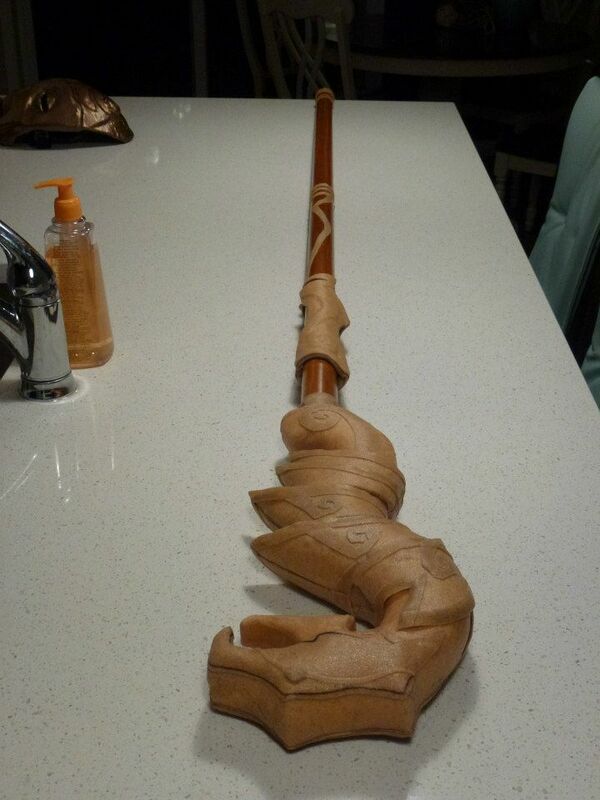 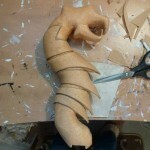 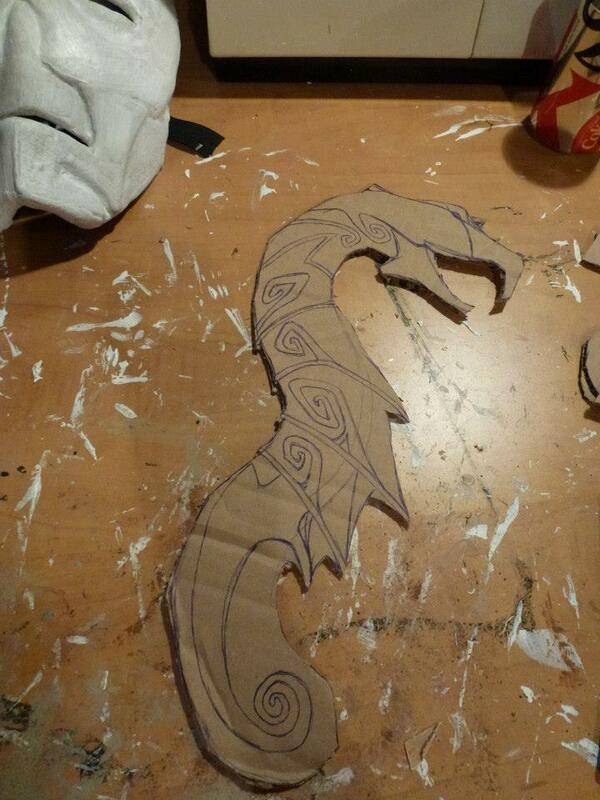 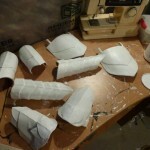 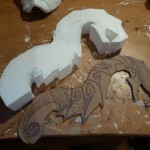 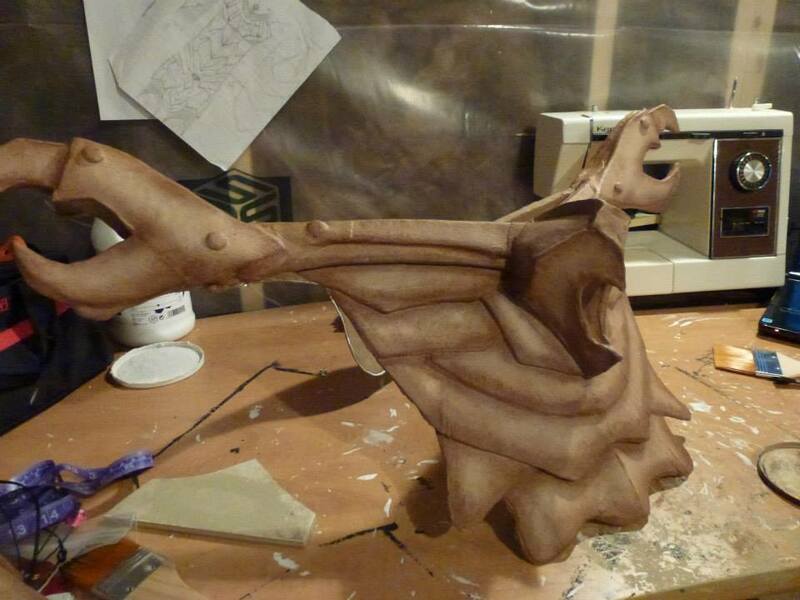 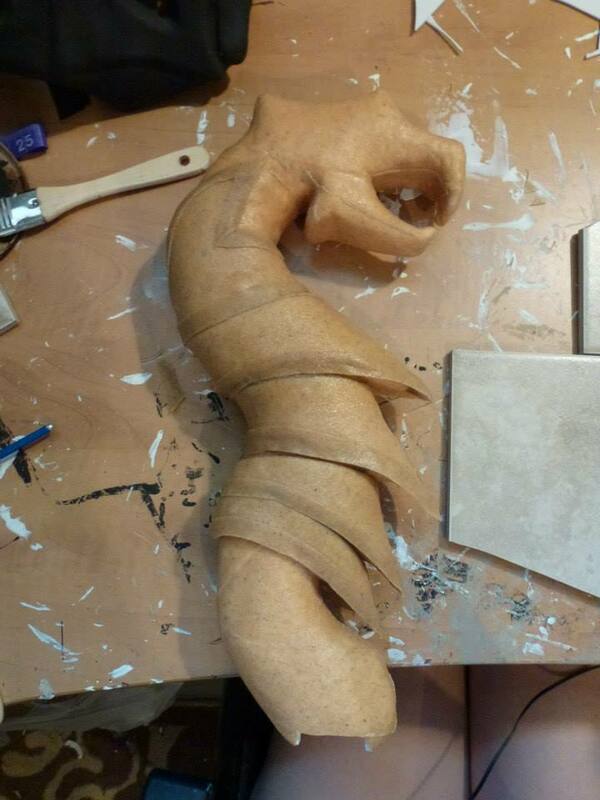 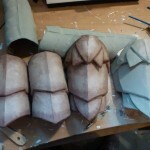 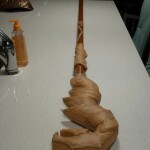 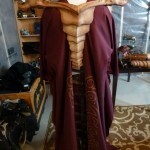 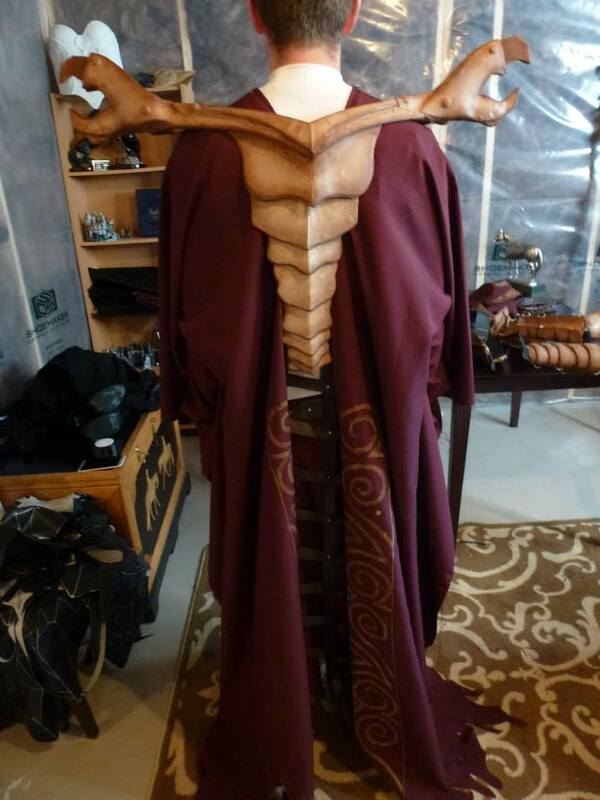 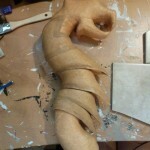 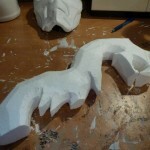 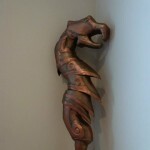 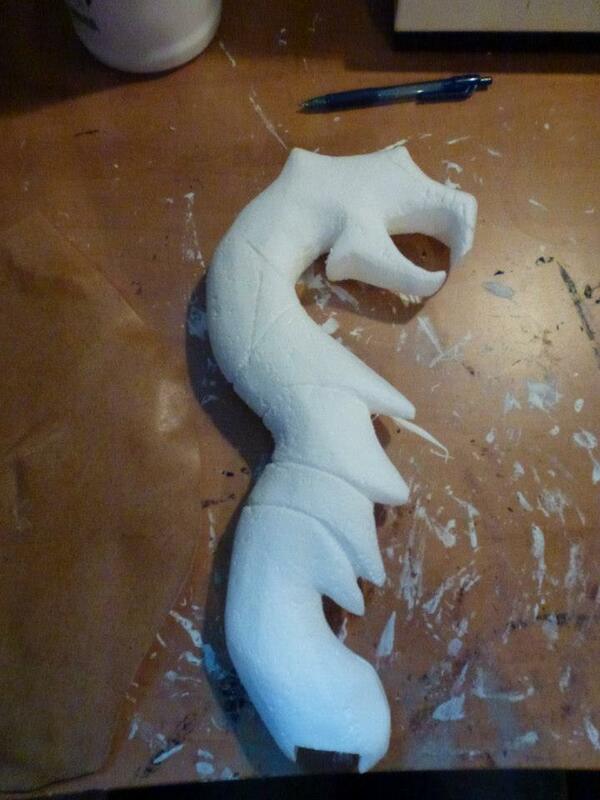 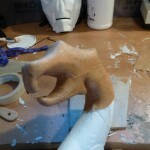 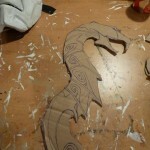 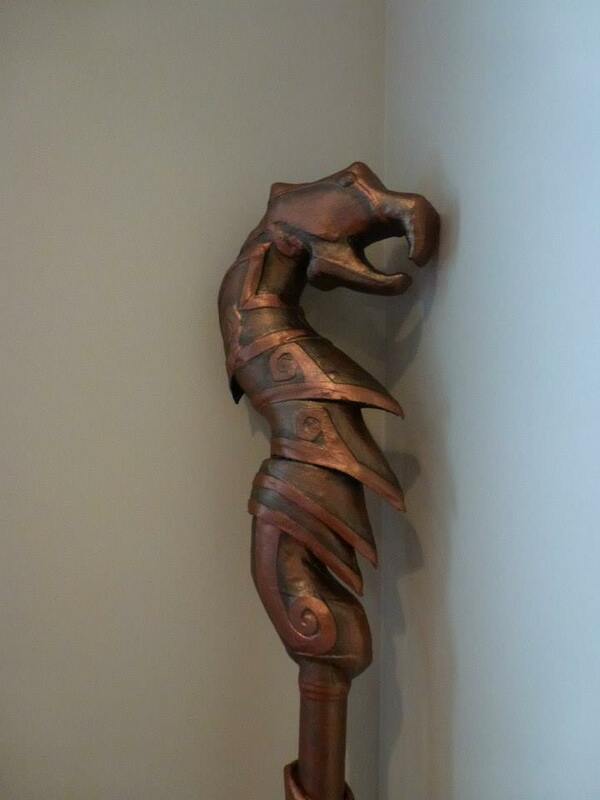 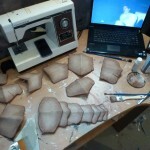 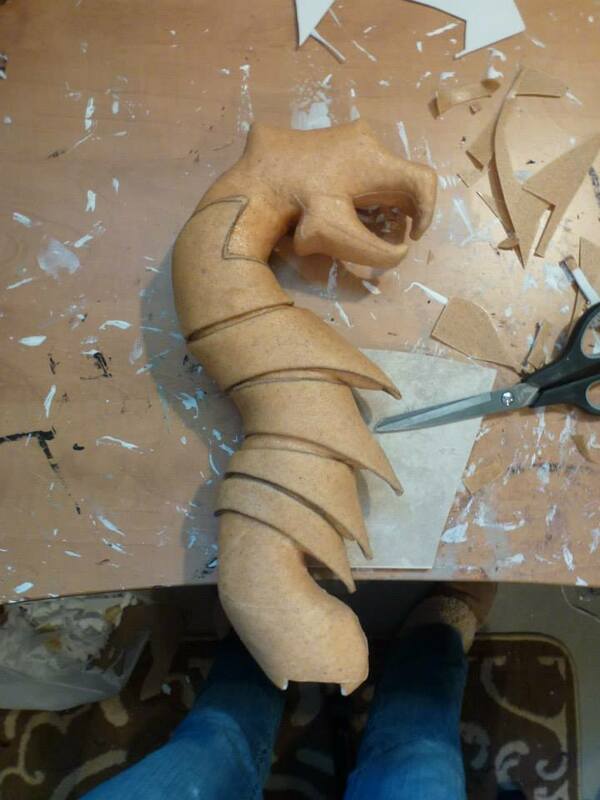 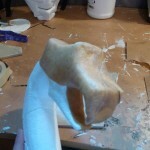 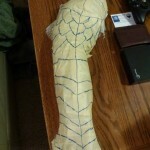 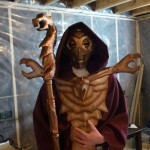 More details including the creation of the staff, formed by carefully molding pieces of Worbla over carved Styrofoam. 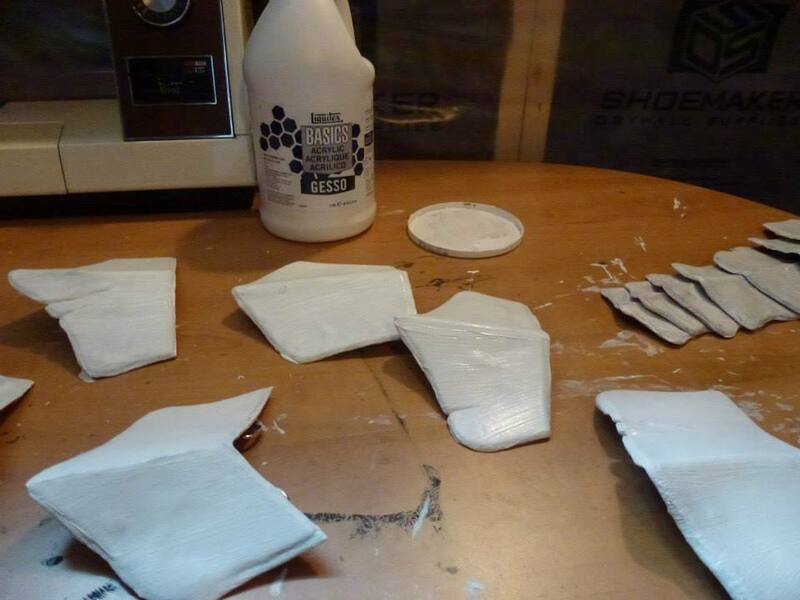 Be warned you can’t use a heat gun on Styrofoam directly! 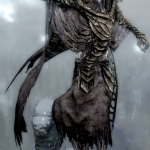 It will melt! 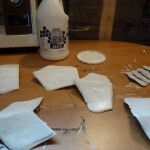 Instead heat your pieces separately and then add them to your form. 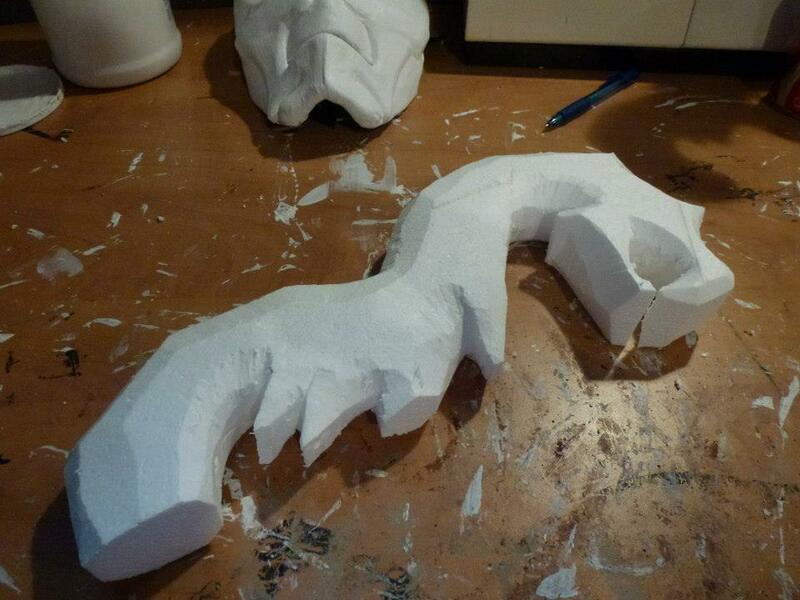 Then everything was primed, then painted.